Exceptional home in The Ridge at Hiwan, extensively upgraded. Easy living with kitchen, family room, dining room, living room, study, and laundry on the main level. Kitchen and Living room feature access to outdoor decks. Kitchen has peninsula with butler's pantry for lots of storage. 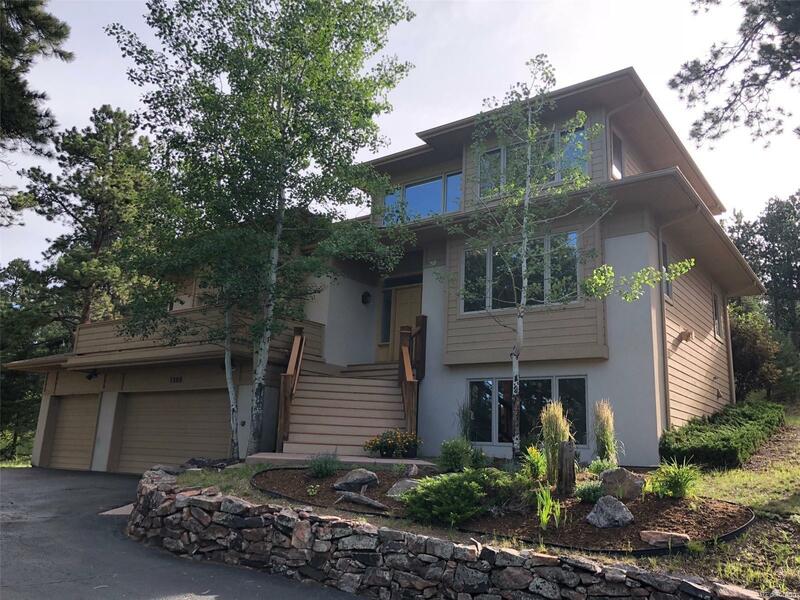 Upper level features Master Suite with private sitting area to look at over Bergen Peak, spacious 5 piece bath with frameless shower, and dual walk in closets. Two large bedrooms upstairs share a Jack and Jill bath. Spacious lower level with one bedroom and full bath, recreation and bonus rooms. There's public water/sewer and high speed internet for convenience. The North Evergreen location allows easy access to Denver, groceries, recreation center, trails, restaurants, etc.